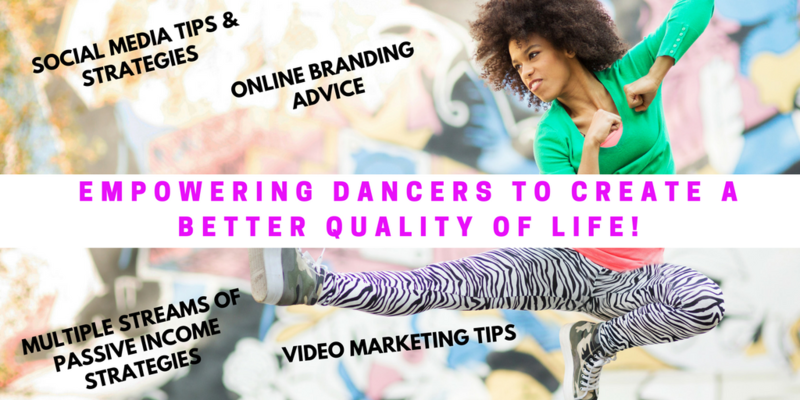 An Important Message To Young Dancers - Please Share... - The Let's Talk Dance Blog - Empowering Dancers To Create A Better Quality of Life! As a dance teacher, I get to speak to and interact with many of you on a regular basis, and thanks to social media, I connect with a lot of you online as well. Today I wanted to share ten important career tips with you, that I believe you need to know. But these are things that you may not have heard from your dance teachers, mentors, or parents before. 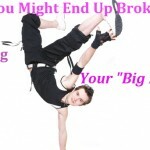 Consider this a wake-up call, and some straight talk to prepare you for what’s to come in your future career as a professional dancer, to help empower you and educate you in a real, and practical way. Knowledge is power. 1. There are not many paid jobs out there for dancers. I tell my students this all the time, not to discourage them or scare them, but so that they will be aware of reality. 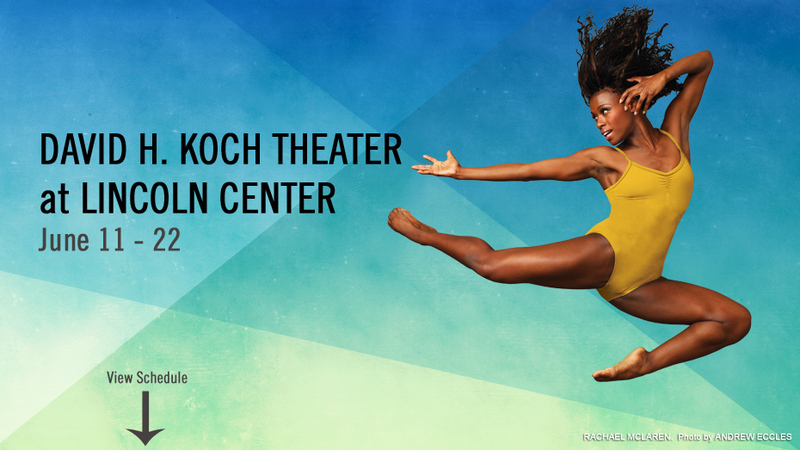 There simply aren’t enough paid jobs to match the magnitude of talented, professional dancers that are out there. So what tends to happen is, you’ll find a lot of professional dancers who are dancing for free, in a dance company, or for small gigs, and then they depend on a non-dance related job to pay the bills. Or in some cases, they teach dance classes to pay the bills. This is a huge problem because you (and your parents) obviously didn’t invest thousands of dollars into your training, so that you can dance for free. You’re supposed to be making a living off of your craft. My suggestion (besides going to auditions, and building relationships with your teachers, choreographers, talent agencies, and casting directors) is to get into the habit of creating your own opportunities. 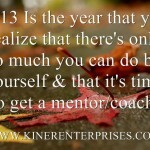 Embrace the mindset that YOU are your own big break. You’re not waiting for your big break, or waiting for someone to choose you. 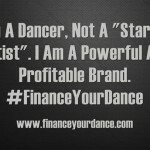 Know that the power to create a successful and financially stable dance career lies in your hands, not someone else’s. 2. Having talent and great technique are only half the battle. This is something else that I preach to my students all the time. Imagine this, you’re at a dance audition, and everyone in the room is in great shape, has excellent technique, and are all on pretty much the same level as you. How do you stand out? 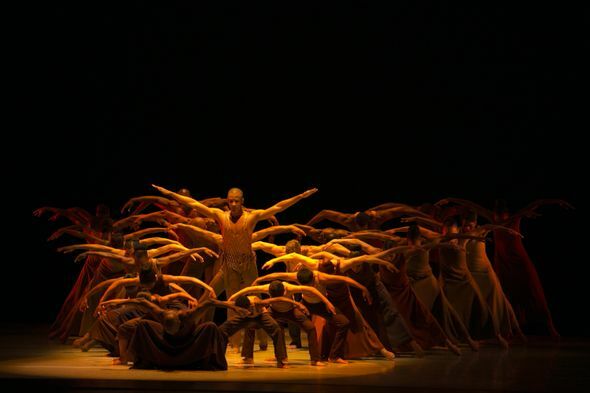 How do you make the choreographer or casting director’s eyes be drawn to you? There’s a 2-part answer to this question. One, you have to bring your own unique movement and performance quality, emotion, charisma, and expression to the dance. This has to happen not only through your body, but through your facial expression, your focus, your energy, and your intensity. Two, you have to have a “look”. You have to bring something special and unique to the table, in the way that you present yourself. You can do this through how you style your hair, apply your make-up, or through the clothing you wear. You must have a strong presence as a dancer, one that attracts people’s attention to you, and keeps it there. 3. You NEED to develop your other skills and abilities outside of dance. Yes I know, you love to dance, dance is your life, and you can’t imagine ever doing anything else. Yada yada yada. In reality, you need to develop your skills outside of just dancing. But luckily for you, as a dancer, you automatically develop some very valuable and marketable skills without even realizing it: adaptability, strong communication skills, the ability to well work with others on a team, you work well under pressure, you’re a fast-learner, you’re able to break things down into steps, and then create something beautiful, and much more. But even beyond that, get masterful in other areas, whether it’s writing, stage production, lighting design, video production/editing, photography, accounting, marketing, social media, personal training, speaking other languages, teaching, etc. The more that you are able to do, and have to offer, the more valuable you are, and the less likely you are to be broke, and living from paycheck to paycheck. Or even worse, stuck working at a job that you hate, just to pay the bills. Expand your horizons, learn more, and diversify. 4. You NEED an education. Knowledge is power. You NEED to learn about money management, budgeting, filing your taxes, investing, marketing, branding, fund raising, business, etc. Whether you choose to go the traditional route of higher education through a college or university, or choose to learn by reading books, and taking courses online, or at your local SBA, the key is to always be learning, growing, and expanding your knowledge base. Not knowing something is unacceptable in today’s world because of the easy accessibility we all have to loads of information online. Don’t ever get comfortable, and feel like, “I’m a dancer/choreographer, all I need to know about is dancing”. You’re lying to yourself, and you’re in denial. People who are smart are the first ones to innovate, and see trends before they even happen. They are always on top of what’s happening in the world around them, and therefore can plan ways to benefit from all of the resources and possibilities that exist in the world today. Get your education on a professional level, and get a self-education as well. Learn more about yourself, your purpose, your values, your strengths, your weaknesses, etc. With all of that knowledge, you can’t lose! 5. Social media is not just for play time and malarkey. You may not have noticed but, there are millions of people and companies all over the world, who are growing profitable and successful brands through social media. There IS a method to the madness, and much that can be done for your professional career through your connections and presence on social media. You may have only been using Facebook, Twitter, YouTube, and Tumblr for fun, but as you prepare to begin your professional career, you’re going to have to make some changes to how you think about social media. Social media provides opportunities for you to connect directly with people who you would’ve never been able to reach 5 or 10 years ago. It also provides you with an opportunity to present your best self, and all that you have to offer as a dance professional, to potential casting directors, producers, choreographers, talent agencies, and dance companies. Start looking at social media as your way to build your professional network, establish your reputation, and make valuable connections, and stop posting photos of you and your friends’ late night binges and excursions to “da club”. 6. Take Care of Your Body!!! Your body is your instrument! You only get one. If you were a musician, let’s say a violinist, you would take care of your instrument like it was your child (or maybe your dog lol). You would invest in buying the best instrument possible, and then work hard to maintain its quality, and protect it from bad things happening to it, wouldn’t you? Your body is even MORE important, because you only get one. If something goes wrong with this body, you can’t go out and buy another one. Treat your body with respect and care. Do not eat crap! Do not smoke! Do not drink! Do not do drugs!!! These are all things that work AGAINST your body operating at its best, for the long-term. Stretch every day, take your dance classes, work out at the gym or at home to develop strength in areas that you can’t focus solely on during your dance classes. Build up your endurance and stamina. Strengthen your muscles. Eat clean. Rest, and get enough sleep every night. Get rid of toxic friends or relationships in your life. Take care of your spirit and your soul through prayer, meditation, and reading the bible. Be good to yourself. Speak life, and positive thoughts to yourself, and to others. Keep negativity, bitterness, hatred, and jealousy away from you at all costs. Love yourself!! 7. It IS about who you know, and your reputation will make or break you. It’s not a rumor, it’s the truth. There is definitely something to be said for knowing the “right people”, and having the right connections in this business. You can call it politics, you can call it unfair, you can call it whatever you want to call it. The truth is, when you build relationships with people, and people know, like, and trust you, you have an advantage over someone else who they don’t know, like, or trust. When you have a great reputation for being professional, on time, hard-working, fun to be around, and great to work with, that reputation precedes you, and can get you jobs that you didn’t even audition for. In this business, you never know who you’re going to meet, and you sometimes don’t even know who you’re talking to. You could just strike up a conversation with someone at a dance studio, event, or coffee shop, and find out later that they’re a producer for a Broadway show, or a television exec. or casting director. You never know. Always present your best self, and carry yourself with dignity and respect. Treat people the way you want to be treated, and be kind, friendly, and pleasant to every person you meet. Always have your professional business cards on hand, and make sure that your online presence (your website, blog, Facebook page, Twitter profile, YouTube channel, etc.) match the level of professionalism that you present to people in person. 8. Humility is key. You can be working today, and unemployed tomorrow. You can be at the top of your game today, and seriously injured tomorrow. You could be the best in your company, city, or studio today, and be the worst in your company, city, or studio tomorrow, when a new dancer, or batch of dancers comes in. “Don’t get gassed”, as they say. Stay humble. There’s always someone else out there who is better than you in some way. 9. Confidence is also key. Let’s not go to extremes here. Don’t beat yourself up, be highly critical of yourself, or downplay your gifts and talents as a dance artist. You’ve worked hard to reach the level that you’re at, and you should be proud of that. God has given you something unique and special, that no one else has. Be confident in that. We’ve all seen that dancer either on tv, in the studio, or at a performance, that is inadvertently apologizing for taking up space on the dance floor, and it is truly painful to watch. Be confident in who you are as a dancer, and project that confidence to your audience, at all times (even when you mess up). 10. You will NEVER train at the level and intensity that you are training at now, ever again. Once you graduate from college, or complete whatever pre-professional program you’re currently in, and start your professional career, you will never train again for 4-6 hours a day, every day. Why not, do you ask? Because no one pays you to train/take dance classes. Most of your time will be spent working to pay your rent, pay for food, and your other expenses, in addition to going to auditions. It will be a tremendous blessing for you, if you are able to take one class every day, consistently. Oh, and did I mention how expensive dance classes are? Yeah, at about $20 a pop, expect to be spending at least $100 per/week on dance classes, and that’s if you only take one class a day, five days a week. Now there are of course, work study programs at many of the local dance studios in NYC. You can get discounted classes (or free in some cases), in exchange for working a certain number of hours at the dance studio, which is cool. But remember, there are only so many hours in a day. You still have to work at a job that pays you, take classes, audition, rehearse, perform, and oh yeah, have a social life of some sort! If you are able to get into a professional dance company that pays you for rehearsals and performances, and also offers company classes every day, your are TRULY blessed. But those situations are hard to come by. I told you at the beginning of this post that this would be a reality check, and some straight talk for you. So I know that it’s not all rosy and pretty, and covered in honey, but sometimes you need a good ol’ reality check. The moral of the story is: Work hard, Work smart, learn, grow, diversify, take your career and your craft seriously, invest your time and your money wisely, and keep the passion, and a positive attitude for what you do every day. It won’t always be easy, but I promise you that it will be worth it. What did you think about these tips? Do you have anything to add to this list? Do you have a question or comment? Post it below. I’d love to hear from you! Please share this post on Facebook, Twitter, Linkedin, and your favorite social media sites!